A special mix of wax: Vegetable, Natural and Synthetic waxes that give an extra rich and creamy texture, coupled with high structure. The Vamp! Full Polymer: Made of film-forming agents that keep lashes smooth and flexible and at the same time, prolong the hold and prevent smudges. The brush is of a sinuous shape (Which means it has many curves and turns. ), with smooth and forest-thick bristles. 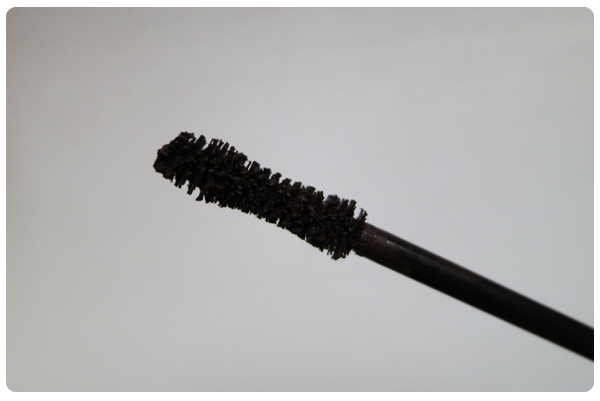 The many curves of the wand means that we are able to collect more mascara in the middle of it and ensure that each and every lash is coated (The rounded tip helps with this too!). 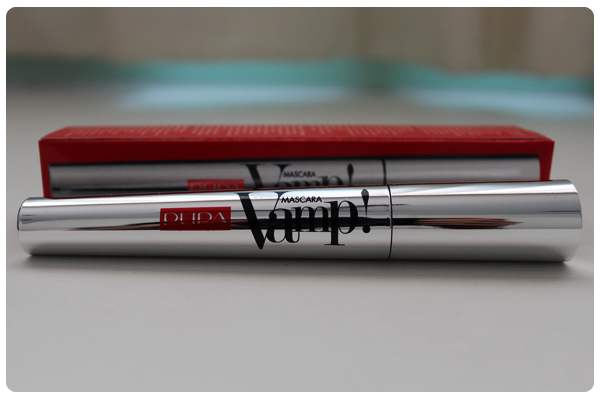 The 9g mascara comes in a classy, mirrored A-shaped tube. When I first took the wand out of the tube, I was a little surprise as I encountered more resistance than other mascaras. But as I use the mascara more, it gets easier to pull the wand out of the tube. I don't think this affects the mascara in any way but it was just something 'different' that I noticed. The bristles, though looking pretty fierce in its thickness, are soft and gentle on the lashes. I like that the tip is rounded as this spells less danger. Just like what Pupa said about it, the bristles got to my every lash easily. But the rather big brush means a little angling of the hand at weird angles when working on your lower lashes. Pupa's Mascara Vamp! is meant to give you exaggerated lashes and over-sized volume. 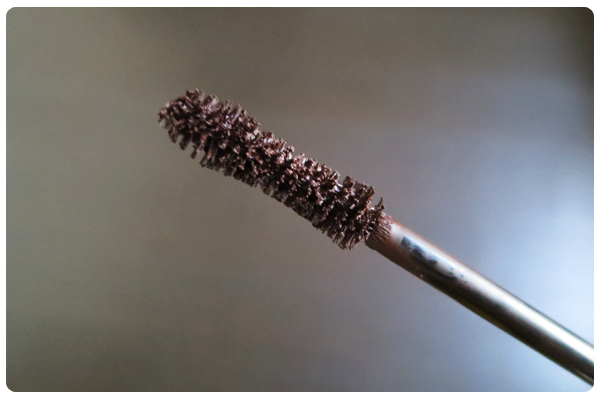 If 'exaggerated lashes' meant long lashes then yes, this is what this mascara does! It lengthens your lashes without clumping. I like that it doesn't give messy spidery lashes. Instead, a very natural look is acheived. (: However, it doesn't seem to give any volumizing effect (For this to be possible, I think lashes need to clump a little. Unless there are fibres, of course.). The mascara, unfortunately, does not fare very well in the no-smudges department. 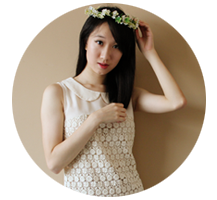 As seen in the photos, smudges can be seen below my eye and it was only midday. 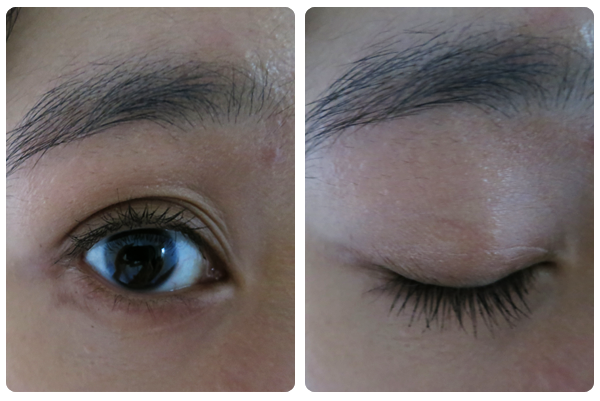 ): Nevertheless, I still love the mascara for its lengthening effect. One thing which I do to counter the smudges is to do layering. I would first apply the Mascara Vamp! and then, a volumizing mascara that doesn't smudge so I get the best of both worlds! :D I also like that the mascara comes in other shades, besides black and brown. I would love to try out Deep Night or Amethyst Violet! Pupa's Mascara Vamp! retails at $35 and can be found at BHG Bugis Junction, John Little, Metro Woodlands, SaSa Cosmetics, TARA Apothecary, Pink Beauty at Toa Payoh, Westmall, Ang Moh Kio and Illuma and leading perfumeries.